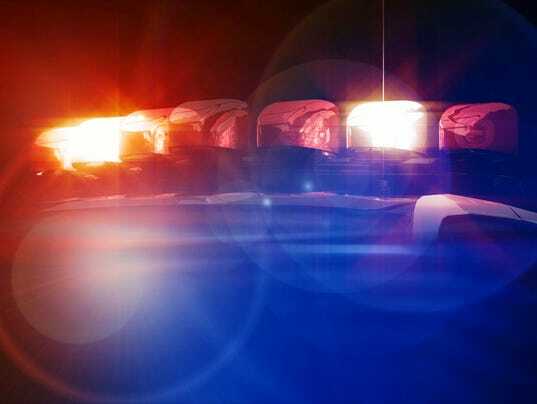 HAGERSTOWN, Md – A woman was taken to a trauma center with serious injuries Tuesday after she was thrown off an erratic motorcycle and her head hit the ground. After he completed field sobriety tests, police arrested Schoen for DUI. A breath test showed Schoen’s blood alcohol content was .10, police said. The state’s attorney may file additional charges against Schoen. A man charged in a drunk driving wreck that killed New Orleans Police Officer Natasha Hunter in 2016 pleaded guilty to vehicular homicide Tuesday (May 29), and will face up to 30 years in prison when he is sentenced later this year. Chau Nguyen, 35, who had been out of jail since posting bond four months after the wreck, was remanded to the sheriff’s office following his plea, according to court records. Authorities said on June 5, 2016, Nguyen’s four-door Acura sedan hit the back of Hunter’s marked patrol car that was parked on the shoulder of Interstate 10 near the Esplanade Avenue exit. She was investigating a crash when her car was hit around 2:30 a.m., and her vehicle’s emergency lights were flashing. Hunter suffered traumatic head injuries in the crash, and died two days later. Nguyen, who was in pharmacy school at the time of the wreck, also was injured in the crash. Prosecutors said he failed field sobriety tests and admitted to drinking alcohol at a casino prior to driving. His blood-alcohol concentration measured at 0.16 after the crash, according to the district attorney’s office. Hunter, 32, joined the New Orleans Police Department in December 2004. She was the mother of a 5-year-old girl. BUCHAREST, Romania (AP) — Former tennis player Ilie Nastase was arrested twice in the space of six hours in his native Romania on Friday, first on suspicion of driving a car while drunk and refusing to take a breathalyzer test, and then for going through a red light on a scooter. 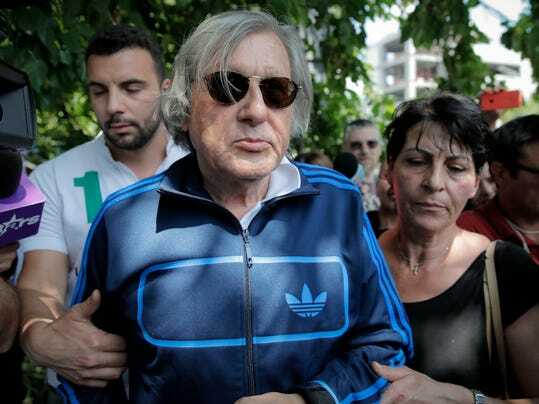 Nastase had a level of 0.55 mg of alcohol per liter, Bucharest chief police traffic officer Victor Gilceava said, an offense that carries a maximum five-year prison sentence. Police initially stopped the 71-year-old Nastase around 4.45 a.m. while he was driving. They said he was visibly drunk. Gilceava said officers had to block Nastase’s vehicle as he failed to stop. The former U.S. and French Open champion refused to take a breathalyzer and officers removed him from the vehicle and handcuffed him. He was later released as police opened a criminal investigation against him for drunken driving and failing to take a breathalyzer test. Police stopped him again about six hours later after he allegedly went through a red light on a scooter. His driving license had been suspended after the first incident. Nastase admitted that he had drunk beer but claimed police had manhandled him and thrown him to the ground during his first arrest. The second time he was apprehended, he was filmed mocking police officers and accusing them of acting like the communist-era militia. Nastase got in a police car and placed a police helmet on his head during that second arrest. MONROE, Wis. – A woman is facing a repeat impaired driving charge after she was unconscious Thursday morning in the Green County Justice Center parking lot with a child in the vehicle, officials said. The Green County Sheriff’s Office said deputies responded to the justice center in Monroe for a report of a woman who was passed out at 10:15 a.m.
Tangy M. Grant, 30, of New Glarus, was arrested on suspicion of third-offense operating while under the influence of drugs with a passenger under the age of 16 and possession of a Schedule II narcotic, according to the report. Grant was taken to jail on the charges along with a probation hold through the Wisconsin Department of Corrections.